If there’s one thing I know about our readership, it is that you-all are very, very curious about Jay Bruce. 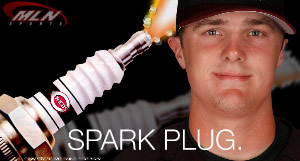 As central HQ for Jay Bruce worship on the web, we’ve decided to help you out. This feature will tell you everything we can glean from the vast wine-dark seas of Internetia, so we can all anticipate what the pundits will be talking about when Jay is inevitably called up within the next week or two. Draft: Jay was the 12th pick in the 2005 First-year player draft. He was in good company, as that draft also netted current MLB stars Justin Upton, Troy Tulowitzki, and Ryans Braun and Zimmerman. He signed his minor-league contract on December 5th of that same year, but managed to get in 54 games of Rookie ball, split between the Gulf Coast League Reds and the Billings Mustangs. 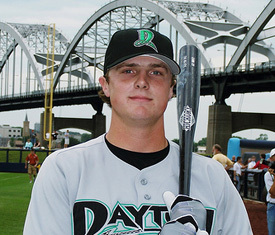 2006 brought the first full season of Minor League action for Bruce, as he logged 117 games with the Dayton Dragons, considered to be one of the top minor-league ventures in the nation. The then-nineteen-year-old put up strong stats, batting .291, plating 69 runs and 80 RBIS, and swiping 19 bags. He flashed a little bit of power, belting 16 round-trippers and legging out 42 doubles. That performance landed him in A+, to start 2007 with the Sarasota Reds of the Florida State League. In 67 games there, he hit .325 with a balanced 49 runs and RBIs, and thus began what we like to call “The Great Leap Forward”. Bruce nabbed a cup of coffee with the AA Chattanooga Lookouts (a mere 16 games) before trotting on up to Lousville and the triple-A (almost) big time, courtesy of his stellar 1057 OPS. Lousiville has been Bruce’s home since then, despite a spring training look-see that left nobody doubting that the kid could play in the bigs. But thanks to that silly money-grubbing salary arbitration dance, he sits in Louisville until the equation tilts in his (and the fan’s) favor. He is currently hitting .352 with seven homers and an equal number of stolen bases. His OPS is 991. Now for the trickiest question we get. “When will Jay Bruce be called up?”. Obviously, we don’t know. The parent club is in the NL Central cellar with a .452 win percentage. It’s still early, and they’re only 6.5 games out of first right now. The Reds’ outfield is full of players who are old, ineffective, or sometimes manage to be both. There have been Ken Griffey, Jr. trade rumors, and some would happily see Cory Patterson and his .235 average swap places with Bruce outright. One thing’s for sure. If Bruce has to spend another whole year in the minors, we might as well remove the rocks from Dusty Baker’s head and insert a nice flower arrangement to pretty the place up. With all of that said, there’s just one more order of business to take care of before we send our boy off to The Show. He needs a good nickname. Simply having two first names is not enough. We’d love to hear your suggestions in the comment field. We’ll form a panel of me, OMDQ, and a couple of our baseball-loving blogger friends, and choose the best one. The best nicknamer will win a copy of the Baseball Field Guide, which I reviewed recently. It’s a great in-depth illustrated guide to the complete rules of the game from Da Capo Press. I like the nickname The Beast cuzzz he plays like a beast, has a beast arm and is an all around beast!!! That’s simple. Bruce’s nickname is “The Deal”. Because he’s as real of a deal as there ever will be. Hi Nic,The GF Doves flour mix I use does also conatin a bit of xanthan gum and if I ever make up my own mixes then I do use a smidgen of it. It does help the texture a bievtowH.er, if things contain a lot of whisked eggs then I find this also works just as well. The proteins in the eggs seem to help stabilise the texture. I hope he sticks around in Louisville until mid-June, when the Bats visit Pawtucket. Probably would be my only chance to see him live, ever. Oh, and the nickname…the best I can come up with at the moment is “The Beaumont Bruiser” – sort of a play on his hometown and his last name. It’s a little generic and unimaginative, but I think there’s an old-time feel to it. I’m telling you Quail, “The Deal” is the ticket. Although I like Beaumont Bruiser for creativity. I hope for my sake he’s not still in Louisville in mid-june. I can’t handle anymore google blogsearches of reading every piece of info about the kid. I gotta see him play live. Well, since the Reds Nation is hoping they can sit their future upon his sturdy frame, how about “Bruce Stool”? “The Show” would be a tremendous nickname. It would be. And why not be the first guy to claim it? He has a nickname. Baseball America has been calling him “The Boss” as an homage to Bruce Springsteen for about three years. It’s an awesome nickname. If you aren’t a Springsteen fan (or are, God forbid, a Chris Berman fan), then he should be Jay “Don’t Bring Me Down” Bruce. Jay “The Corey II” Bruce. Ha ha, yeah, Michael, you caught me inflating the stats. It’s 42 doubles. If it were triples, I’d call him Jay “Third Leg” Bruce. I have to say I don’t really get “The Boss”. It’s not like he’s from Jersey. I’m reluctant to suggest Texas-based possibilities since it’s a contest and all, but there’s a cowboy-ish slang term that rhymes with “Boss” that would be awesome, in my opinion. His nickname might as well be a third first name: Earl. For those considering ‘Hoss’ there’s already a pretty well known third baseman for a certain team from Atlanta that goes by said moniker. All that being said, just call him Bruce–they’re saying Booo-urns, sir. His nickname is ‘The Boss’. Rick Ross used to be the biggest boss we’ve seen thus far, but he doesn’t have anything on Jay Bruce. The Boss it is. Now where’s my book? Well, if it’s “The Boss”, don’t I have to send the book to Baseball America? 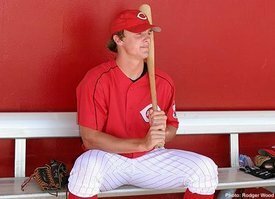 I think Jay Bruce will be the object of uncountable new man-crushes this year. we should call him “gay juice”. It has to have a nice ring to it, Im thinking something along the lines of Jay “Mighty Moose” Bruce. Jay Jay the Jet Plane. I like Jay Jay the Jet Plane. J. Bruce is a great American original, and, as such, an original nickname befits him, not the used moniker of “The Boss,” because of Bruce Springsteen. What about Jay “Brixx” Bruce, or “Brixxie” in the informal? It’s alliterative and unique, while representing strength and the notion that the Reds will build with Bruce as the key brick. coach walton is a doooosh bag. Priceline Hotel and Car negotiator: Excellent for people stuck somewhere and looking for a hotel or car at the last minute. Let’s say that you are speaking to a group of business owners to convince them to integrate a new Burnaby mobile app, Richmond android development program into the company. A diet might be perfect for someone else, but their needs, their lifestyle, and their food preferences could be completely different from yours. Kofi gets to show off some high-flying moves before he is put to bed with the World’s Strongest Slam. Or, you can list it in the mobile app directory on iTunes. De plus, jusqu’ici, seul la FDA a publiÃ© a ma connaissanceNotez que le but de ce tests Ã©tait avant tout de montrer une rÃ©ponse immunitaire, et pas de dÃ©tecter des effets secondaires. Ceux ci on quand mÃªme Ã©tÃ© demandÃ© aux te;.h©stL&rsquosÃ©cÃantillon reste cependant trop petit pour exclure des maladies rares.